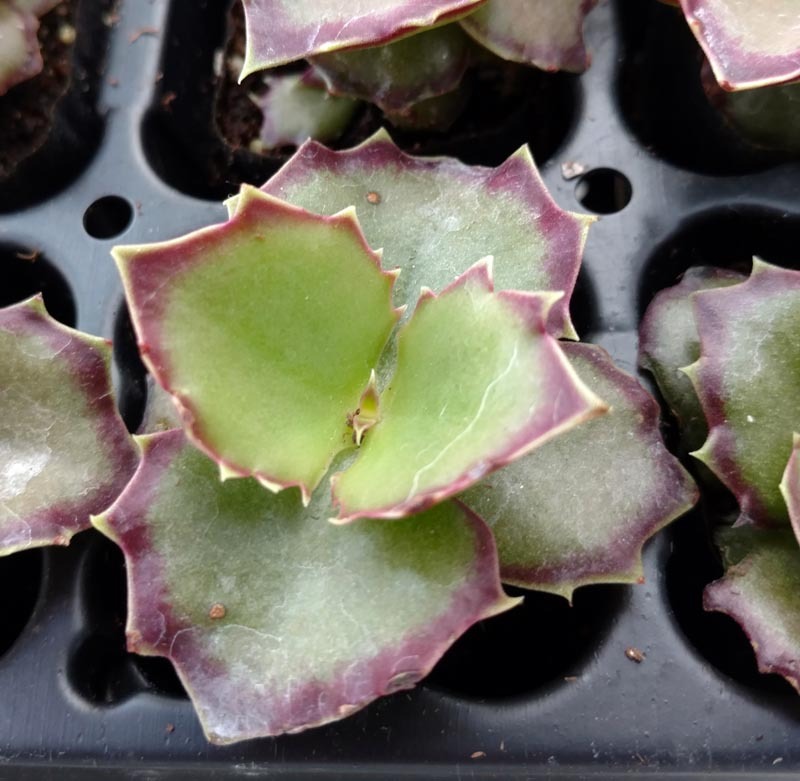 Serrated leaves with purple edges. Produces plantlets on arcing runners. White flowers.